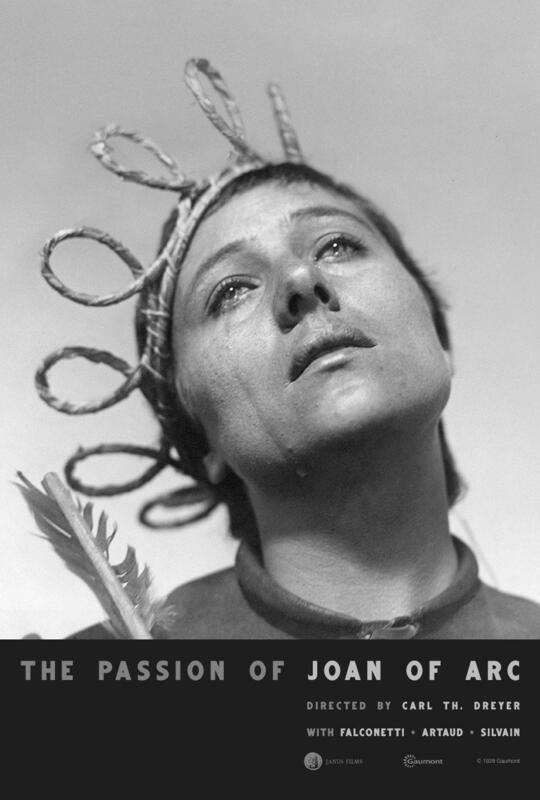 No wonder, then, that the life of Joan of Arc has been portrayed in dozens of films, including the silent film classic The Passion of Joan of Arc (1928), Danish director Carl Dreyer’s courtroom dramatization of the trial that led to Joan of Arc’s conviction and execution. Topping off the twists and turns of all that drama, and complementing the legendary voices in Joan’s head, the world-renowned Orlando Consort will sing a live soundtrack of early music to a screening of The Passion of Joan of Arc in a program title Voices Appeared, 3 p.m. Sunday, Jan. 27 at Grandview Theater and Drafthouse. The performance and screening are part of the Early Music in Columbus series. Orlando Consort baritone Donald Greig compiled the score for Voices Appeared from existing sacred and secular vocal works written during the early 15th century, the period of Joan’s life. In an article on The Guardian music blog, Greig writes that Dreyer had no say in the soundtracks that accompanied The Passion of Joan of Arc at its premieres in Copenhagen and Paris. The film’s original negative was destroyed in a fire in 1929, and for more than 50 years, The Passion of Joan of Arc was lost to the world. In 1981, a copy of the film was found in a Norwegian mental asylum. There then arose a tradition of compiling scores for the film using music by any number of other composers, including baroque masters Bach, Vivaldi and Albononi and, much more recently, Dutch composer Jo van den Booren, Estonian composer Tõnu Kõrvits, the Orlando Consort and, forthcoming in 2019, Russian-born composer Gene Pritsker. While accompanying The Passion of Joan of Arc with music from the time in which Joan lived seems an obvious choice, Greig writes that, in Dreyer’s time, it was not only not obvious – it was not possible. Greig also considers his selection of vocal repertoire for the film especially apt, given the details of Joan’s life. In 1455, 24 years after Joan’s execution, the Church opened a posthumous inquest into Joan’s case – in essence, an appeal to determine the merit of Joan’s earlier trial based on how it was handled according to canon law. Joan was not only vindicated but hailed as a martyr. The case for her canonization was opened in 1869, and she was canonized in 1920. Some have decried the life story of St. Joan of Arc as a myth and, to be sure, it does have the stuff of legend. Seeing visions of saints, hearing the voice of God, defying cultural convention and taking up arms with the men of the French royal army, standing trial with the Church patriarchy, dying a martyr’s death and ending up a saint all add up to drama. And sometimes there’s no better drama than that of real life. Except, maybe, at the movies. The Orlando Consort performs Voices Appeared, a live soundtrack of early music to a screening of the 1928 classic silent film The Passion of Joan of Arc, 3 p.m. Sunday, Jan. 27 at the Grandview Theater and Drafthouse, on the Early Music in Columbus series. Lawrence of Arabia is, hands down, one of the classics. The Mirisch Co. and Alpha Productions / United Artists Corp.
John Sturges' 1960 Western remake of Akira Kurosawa's classic film Seven Samurai features an intense musical score by one of the great composers of film music, Elmer Bernstein. A violin with a past is fated to keep dooming the present. Even if you’ve never seen the 1957 hit musical West Side Story, I'll bet you can hum the tune from "Tonight," "Maria," "America" or any number of the show's signature songs and dance pieces on command.